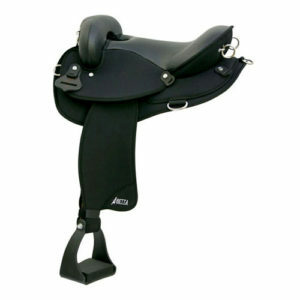 Serenity Endurance Nylon Saddle. Flex Tree 16″ Seat. Tree: Endurance FLEX TREE by Ralide with Standard gullet. 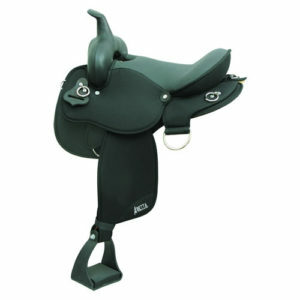 Cantle: 4-1/2 in. (standard) or 5-1/2 in. (extra wide) Highback with Nylon binder. 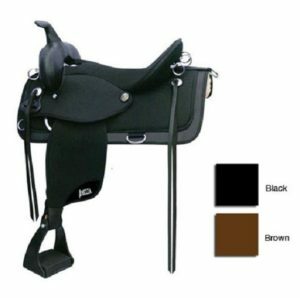 Rigging: 3/4 Centerfire Nylon-leather, half breed with Stainless steel dees. Extra thick super cushion seat. 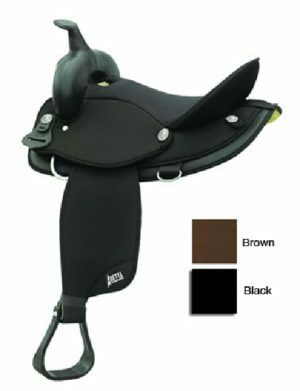 Stirrups: 4 in. Endurance with thick, shock absorbing pads.